Watch DinghyGo photos and videos on and . 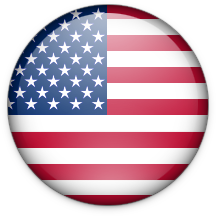 Follow DinghyGo on and . Düsseldorf, 2019 January 19th. Aquacrafts is celebrating 5 years of continued success of its star inflatable boat DinghyGo 3 “Nomad”. The Dutch designer and producer of the successful family of DinghyGo 3-in-1 (sailing, motoring, rowing) portable sailboats series launched the first ultra-compact medium sized (275 cm) DinghyGo model in 2013. Of the entire DinghyGo series DingyGo Nomad 3 in particular has proven to be highly popular with boating enthusiasts around the world. What sets DinghyGo 3 Nomad apart is its compact and lightweight design so it can easily fit in a family car, yacht or camper. By making clever use of light composite materials for its sailing equipment and applying a superior finishing, Nomad 3 provides the optimal mix of quality, functionality, ease of use and portability needed for leisure sailing on the go. This has shown to have great appeal with families and holidaymakers. Aquacrafts will showcase DinghyGo 3 Nomad, next to its sportive Orca (325 cm) and compact Nomad S (230 cm) models during World’s largest Boat Show Boot 2017 in Düsseldorf, from January 19th until 27th, at stand number 15G38. If you want to make an appointment or if you have any questions please don’t hesitate to contact Michiel Troelstra – contacts details below. 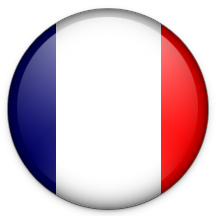 For general information, please visit www.dinghygo.com. DinghyGo 3 Nomad is easy to order at your DinghyGo Distributor or online (www.dinghygo.com/shop) and can be delivered to your home in matter of days. A free accompanying video instruction will help you to be under sail within 20 minutes. The DinghyGo series are produced and distributed by the Dutch company Aquacrafts: Specialised in providing water enthusiasts and holidaymakers alike unforgettable sailing fun everywhere. Dusseldorf 20 January, 2018 Düsseldorf, Germany. Aquacrafts, the Dutch designer and producer of the successful family of DinghyGo portable 3-in-1 sailboat series today announced the launch of its most sportive edition, the DinghyGo “Orca”. The long anticipated DinghyGo Orca comes with a new, sportive, design that delivers improved handling and better performance under sail, delivering the sportive touch sailing enthusiasts are asking for. The DinghyGo series of inflatable 3-in-1 boats (Sailing, motoring, rowing) has been the favorite family companion for boating activities around the World. With DinghyGo Orca, producer Aquacrafts adds a highly sportive edition to its successful range of large and small inflatable boats. Compared its predecessor, DinghyGo Nomad the DinghyGo Orca has undergone several design changes to deliver a more streamlined, sportive experience. Key changes are the new hydro/aerodynamic design offering a sturdy, high pressure floor (an increase of 250% compared to previous versions), a stay supported mast and an improved sail size of 5,7 m2, an increase of 46% compared to its smaller sibling DinghyGo Nomad 3. Furthermore the DinghyGo Orca has increased in length to 3,25 m, an extra 18% length, allowing for an extra passenger (maximum 5 persons). Overall its hull displacement has increased only 8% to 29 kgs. Overall packing size is 1,00 x 0,72 x 0,28 m (boat) and 1,20 x 0,50 x 0,16 (sail-kit) making it easy to store and transport. As with the entire DinghyGo series, the DinghyGo Orca is designed to carry along on your journeys, even when space is restricted. Once at the destination, all that is needed to do is fold out, pump up and rig DinghyGo Orca and take it out on the water! A free accompanying video instruction will help you to be under sail within 20 minutes. Michiel Troelstra, Head of DinghyGo Global Sales commented “We are really proud to launch and showcase DinghyGo Orca at Boot Düsseldorf. DinghyGo Orca is based on a unique, sportive design that has all the hallmarks of a true sailing boat. In addition to being the World’s most sportive Inflatable boat DinghyGo Orca retains all the features that have made DinghyGo series such a success! Aquacrafts will showcase DinghyGo Orca, Nomad 3 and Nomad S during boot Düsseldorf, the largest German Boat Show & Watersports Exhibition and boat Trade Fair. If you want to make an appointment or if you have any questions please don’t hesitate to contact Michiel Troelstra – contacts details below. 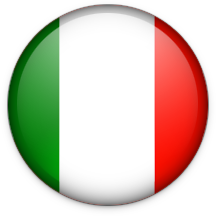 For general information, please visit www.dinghygo.com. DinghyGo Orca, Nomad 3 and Nomad S are easy to order online (www.dinghygo.com/shop) or via DinghyGo Distributors and can be delivered to your home in matter of days. DinghyGo Orca delivery will commence from May 2018 onwards. The DinghyGo series are produced and distributed by the Dutch company Aquacrafts: Specialised in providing water enthusiasts and holiday-makers alike unforgettable sailing fun everywhere. Amsterdam, 2016 September 17th. Aquacrafts, the Dutch designer and producer of the successful family of DinghyGo portable sailboats series today announced the launch of its latest edition, the DinghyGo 3 “Nomad”. With the Nomad edition DinghyGo re-confirms its status as the world’s most compact and lightweight 3-in-1 sailboat. 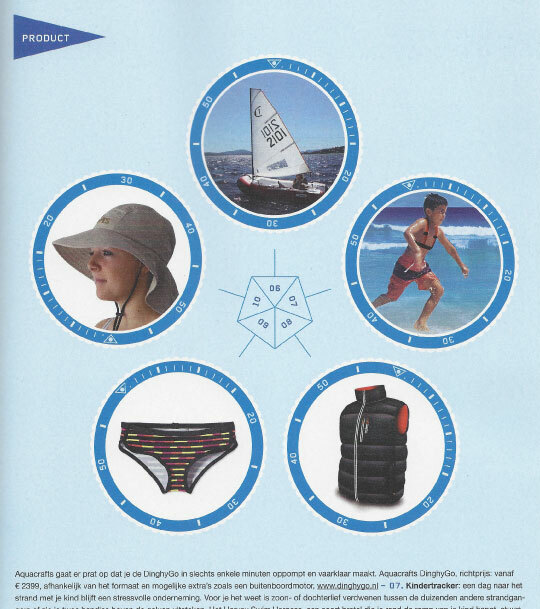 Since its first edition in 2013 DinghyGo was an outright success around the globe as the ideal family companion for fun boating activities, including sailing, motoring and rowing. There is no looking back as DinghyGo enthusiasts are sailing the waters around the world from Hawaii to South Korea. With its Nomad edition DinghyGo brings unrivalled portability improvements making it easier than ever to carry it along on your journeys, even when space is restricted. DinghyGo 3 Nomad makes clever use of lighter materials for its sailing equipment and hull allowing it to carry 10 Kg less weight (-20 %) than its predecessor “DinghyGo 2 Beach”. In addition DinghyGo 3 Nomad combines an enhanced design with superior composite finishing while maintaining its renowned robustness. All the skipper needs to do to get sailing is fold out, pump up and rig your DinghyGo and take it out on the water! 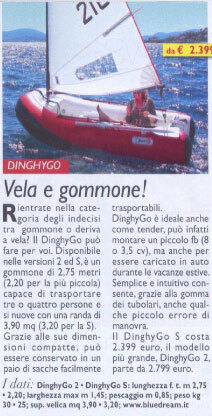 Whether you are a beginner or experienced sailor, DinghyGo feels like a real sailing boat and is easy to control. Michiel Troelstra, Head of DinghyGo Global Sales commented “DinghyGo 3 Nomad sets a new standard in portability making it easy for all to carry DinghyGo. For example, DinghyGo 3 Nomad even fits into the trunk of a Smart ForTwo! And camper van owners love the fact Nomad comes with a significantly reduced weight enabling their camper load to stay below allowed capacity limits ” DinghyGo 3 Nomad is easy to order at your DinghyGo Distributor or online (www.dinghygo.com/shop) and can be delivered to your home in matter of days from October onwards. A free accompanying video instruction will help you to be under sail within 20 minutes. Amsterdam, 22 February 2014. DinghyGo, the loveable inflatable sailboat which is taking Europe by storm will showcase a brand new member to its family of 3-in-one inflatable sailboats at the RAI Amsterdam conference centre from 5-9 March. The family of DinghyGo inflatable boats will be on display at Hiswa boat show and at the WaterFunZone children can give the DinghyGo ultra-compact S-class a hands-on try. The new DinghyGo S-class has all the hallmarks of its successful and larger sibling, but features an ultra-compact design which is 20% shorter and 5 kg lighter. The S-class can carry 3 persons (to a total of 350Kg) and offers a sizable sail surface of 3,2m2. The S-class further comes with several improvements such as a much easier to maintain, and improved, lighter, daggerboard and rudder. Tightly packed and ready the DinghyGo S-class boat measures only 0,95x0.65x0.32m. Designed especially to take up as little space as possible makes the S-Class ideal to take along on car trips to lake sides, coastal shores and camping’s, or to bring on board of your yacht. The S-class is ideally suited for children learning the ropes, for mothers taking the kids and pet to shore or for fathers transporting heavy provisions while in the harbor. DinghyGo super-compact S-class can easily fit in a family car but has also been tested to fit in the smallest of cars such as the Smart ForTwo, Mini, VW Up, Fiat 500, 500L and Punto Evo, to name a few. The DinghyGo S-class is easy to store and easy to get ready. All you need to do is to fold out, pump up and rig your DinghyGo to take it out on the water! DinghyGo behaves like a real sailing boat and is fun and easy to control. And just like its bigger brother the S-Class allows you to sail as close-hauled as you would like. The high level of buoyancy of the tubes provides unprecedented stability, comfort and safety. DinghyGo’s flexible skin provides for maximum comfort and the minimum chance of damage when colliding with another vessel. In conclusion, the versatility and portability make DinghyGo the most fun, coolest and dexterous sailboat for the whole family! For more information, go to www.dinghygo.com. For the duration of the Hiswa Customers are entitled to a special introduction discount on the purchase price. 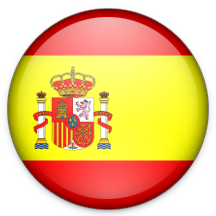 Please contact Heerco Halbesma at +31651350217 or come to our booth. 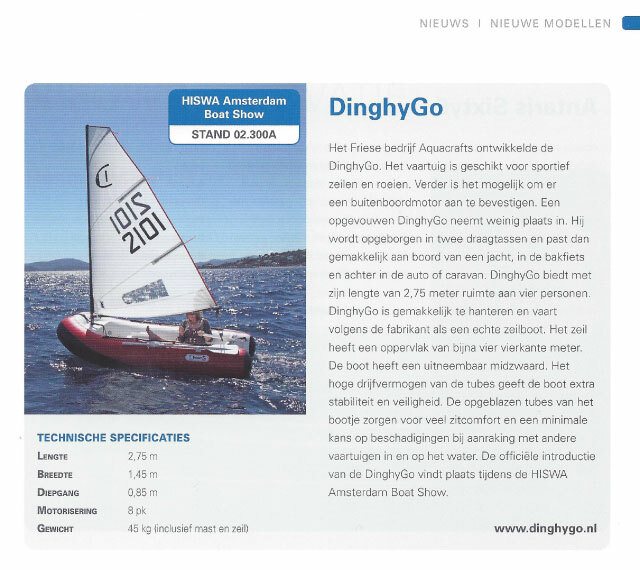 Both DinghyGo and DinghyGo S models are displayed on stand 02.105 at the Hiswa from 5-9 March, RAI Amsterdam. 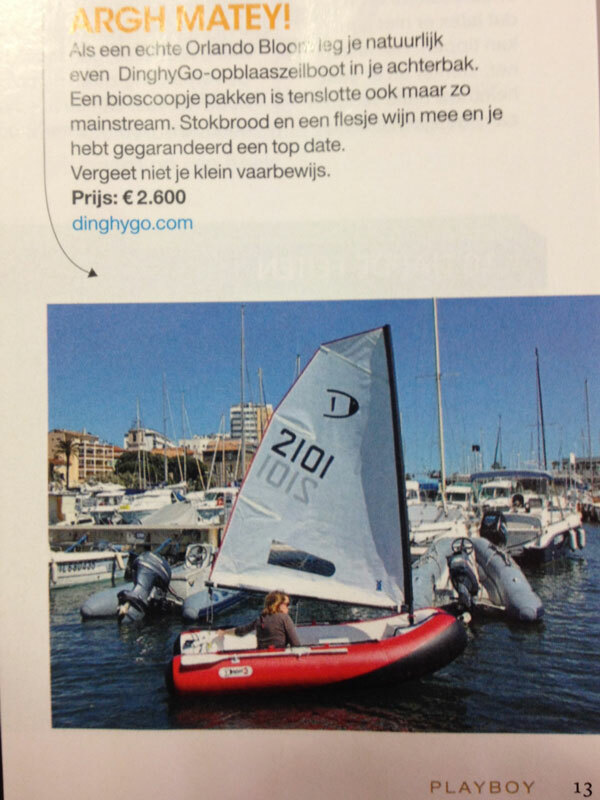 DinghyGo is designed by the Dutch company Aquacrafts. Aquacrafts offers water enthusiast and holiday-makers alike unforgettable sailing fun everywhere. 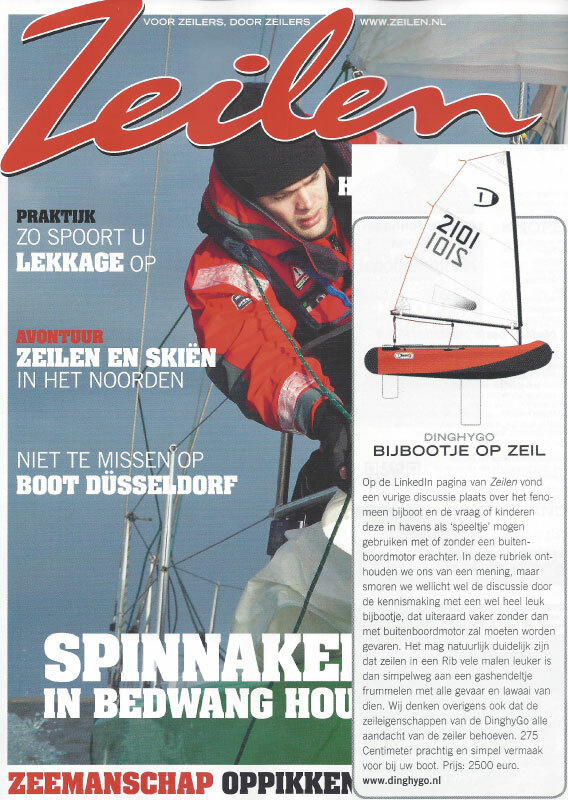 DinghyGo is distributed by Friesland Watersport in The Netherlands. 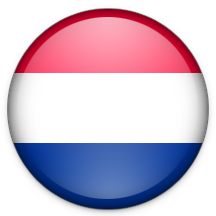 Friesland Watersport is the Dutch market leader in dinghies and small daysailer boats since 1978. With DinghyGo, the inflatable sailboat, each Britain can rule the waves wherever they go. Southampton, September 13th 2013. 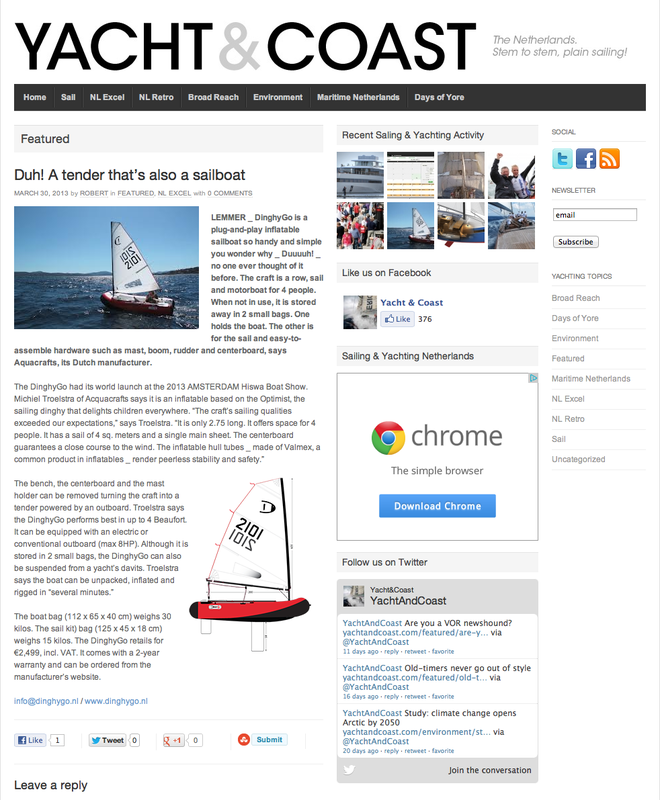 With the UK launch of DinghyGo, the inflatable sailboat, at the Southampton Boat Show interested customers finally get access to a dedicated English language version of the original Dutch DinghyGo website. 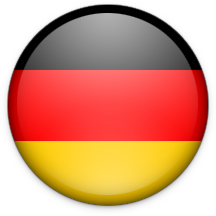 In the last year unsurprisingly the site has been attracting more and more visitors from the UK. 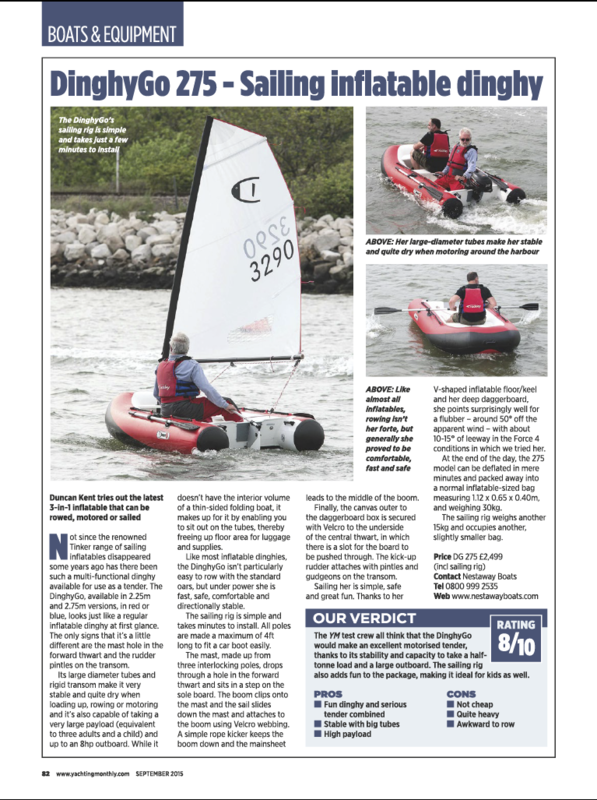 DinghyGo has steadily been drawing attention from British enthusiasts as it provides three boats in one! Not only is it possible to sail or row comfortably, it is also possible to use an outboard engine. It doesn’t matter whether you’re going to France first by car, staying near water in the UK or if you live in a tall apartment building; there is always room for your DinghyGo. Stowed away in just two compact bags DinghyGo can easily come with you in your car boot, inside your caravan or camper or on board of your yacht. When you arrive at your destination, you only need to fold out, pump up and rig your DinghyGo to take it out on the water! DinghyGo provides room for a family of four with its 8' in length. 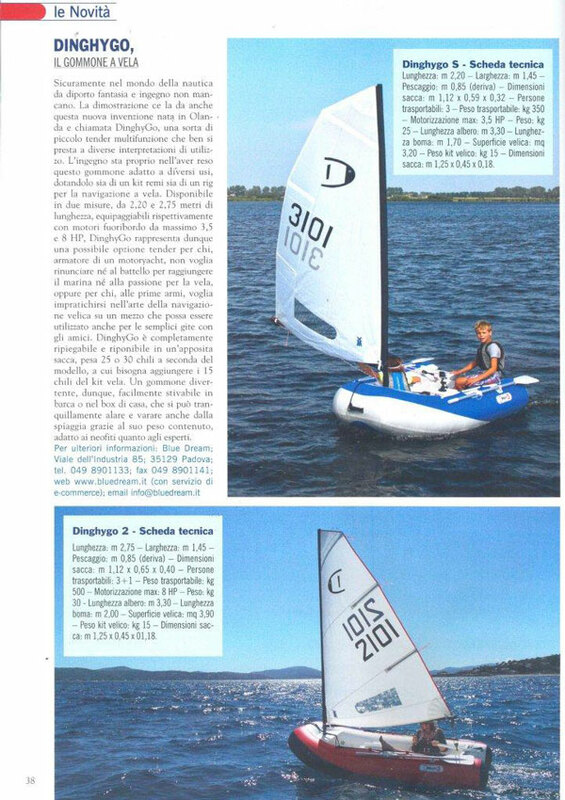 Children and solo sailors can also choose the smaller DinghyGo S model, measuring only 7' 3''. Whether you’re a beginner or experienced sailor, DinghyGo feels like a real sailing boat and is fun and easy to control. The sail of 4 square meters is easy to use singlehanded. You can sail as close-hauled as you would like with the unique daggerboard. The high level of buoyancy of the tubes provides unprecedented stability, comfort and safety. DinghyGo’s flexible skin provides for maximum comfort and the minimum chance of damage when colliding with another vessel. In conclusion, the versatility and portability make DinghyGo the most fun, coolest and dexterous sailboat for the whole family! For more information, go to www.dinghygo.com. 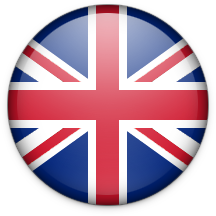 The official introduction in the United Kingdom will take place at the Southampton Boat Show from September 13th – 22nd 2013. Both DinghyGo and DinghyGo S models are displayed at stand A068 and A069. 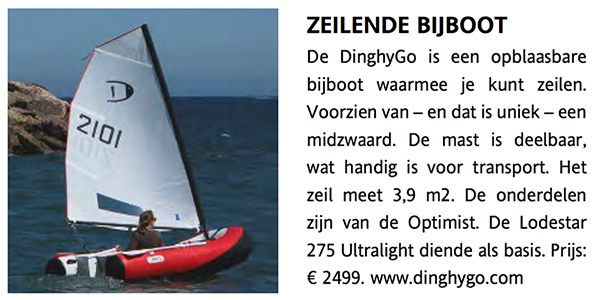 DinghyGo is produced and distributed by the Dutch company Aquacrafts. Aquacrafts offers water enthusiasts and holiday-makers alike unforgettable sailing fun everywhere.